My interests are in the design and assurance of safety-critical systems, with a particular emphasis on Digital Health (e.g. ePrescribing and self-management apps) and intelligent systems (e.g. autonomous and connected driving). In 2015, I was awarded a Royal Academy of Engineering Industrial Fellowship to collaborate with the NHS and NHS Digital on evidence-based means for assuring the safety of digital health systems. 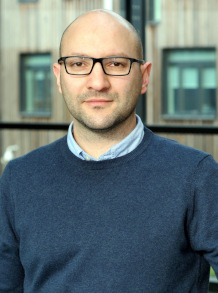 I am a member of the High-Integrity Systems Engineering research group and teach extensively on York's postgraduate programme in safety-critical systems engineering. I currently lead the MSc in System Safety Engineering with Automotive Applications and co-lead the Distance Learning PhD in Computer Science. My work is highly interdisciplinary, with active collaborative links with clinicians, health scientists, economists and ethicists. I enjoy empirical and industry-informed research and have coauthored research papers with many engineers including from Rolls-Royce, NASA, Jaguar Land Rover, MIRA, Airservices Australia and the Irish Aviation Authority. Since 2007, I have been a member of standardisation committees on dependability and safety. I am currently a member of the DS/1 Dependability committee at BSI, the committee on safety case development within the Motor Industry Software Reliability Association (MISRA) and the Goal Structuring Notation (GSN) Standardisation group. I was a member of the Joint EUROCAE/RTCA committee responsible for developing the aerospace guidance DO-178C and a contributor to the UK response to the automotive safety standard ISO-26262. I previously worked at the Rolls-Royce University Technology Centre in Systems and Software Engineering (UTC). Prior to that, I was in industry. I worked on a number of large-scale Geographic Information Systems, mainly for water and electrical network infrastructures. In 2009, I completed my PhD in Computer Science from the University of York. The topic of my PhD was model-based assurance of safety-critical product lines.